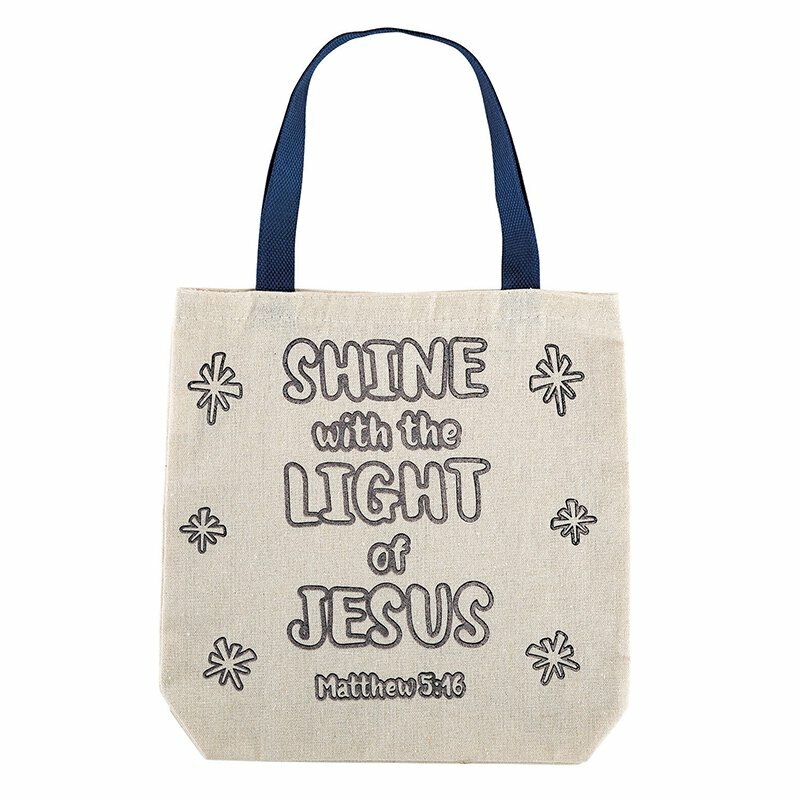 Encourage children to be the best version of themselves with the Shine with the Light of Jesus Collection. 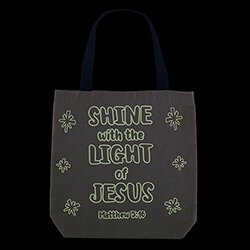 Each glow in the dark piece is designed around the popular Bible verse Matthew 5:16. 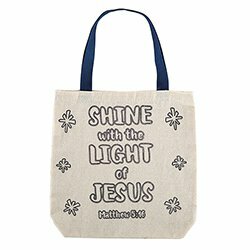 Our Color-Your-Own tote bag includes a long handle for comfortable carrying, is crafted of sturdy canvas material and features text and stars that glow in the dark. It is a fun craft activity for kids and makes a great Sunday School giveaway. Fabric markers are recommended for best results (not included). Note: Glow in the dark products need to be exposed to either artificial or natural light to be energized.